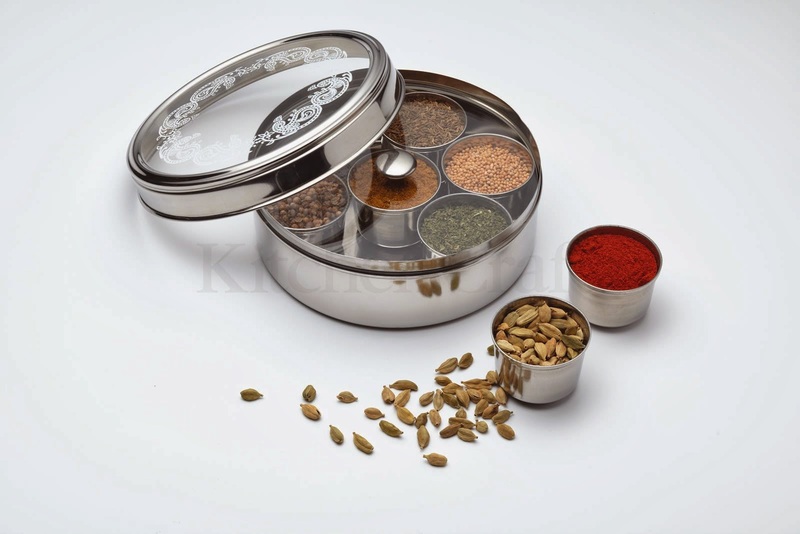 The second of my new ranges for the World of Flavours brand is an Indian design. 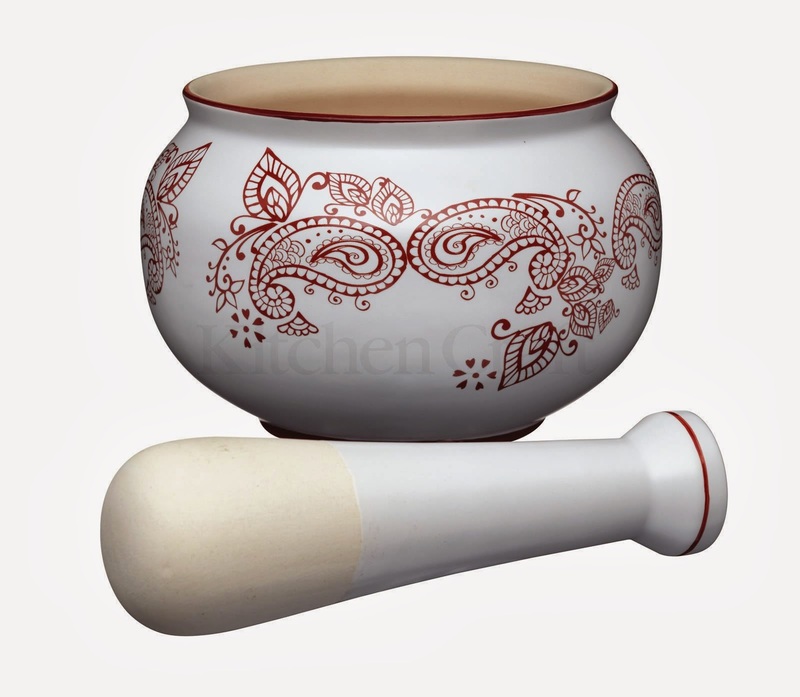 The illustration is a single colour pattern based on the style and colour of Indian henna tattoos. 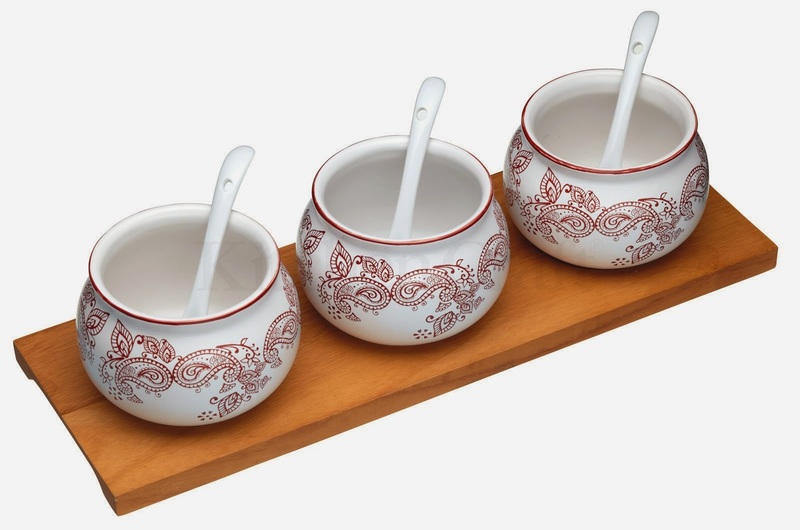 The product is a lovely mix of satin finish stoneware and wood, which I hope gives it a very tactile and authentic feel. 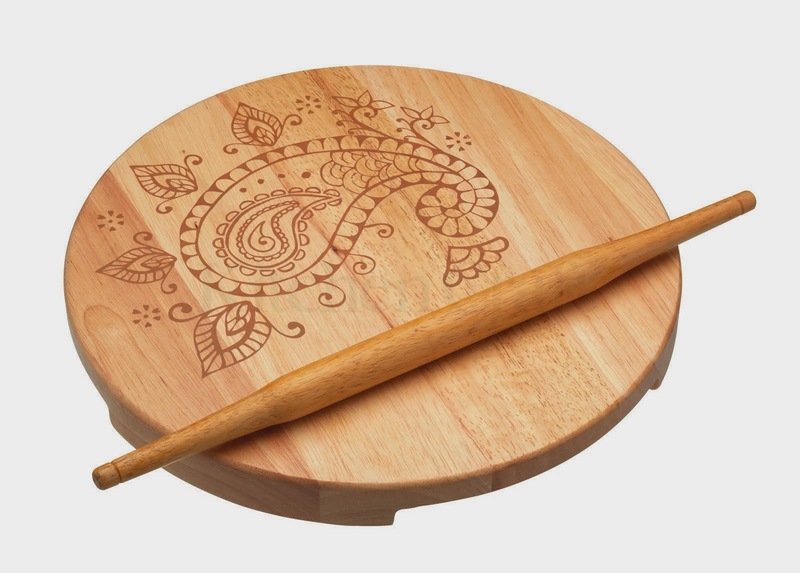 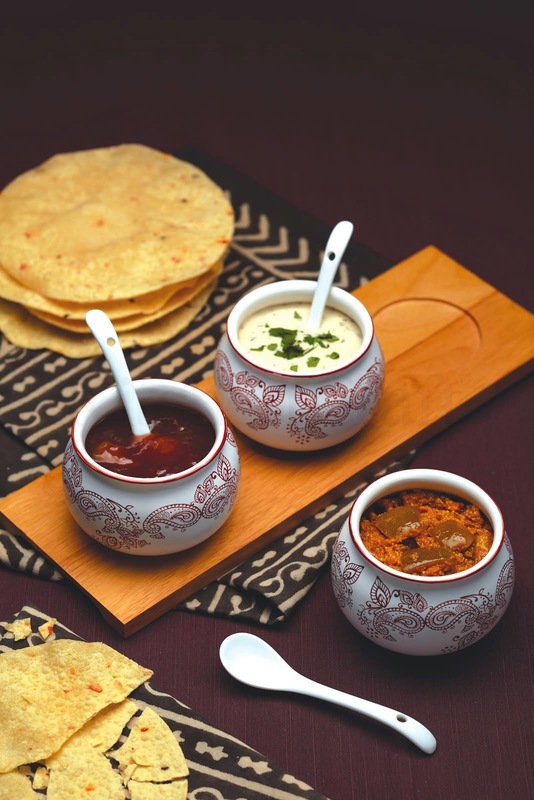 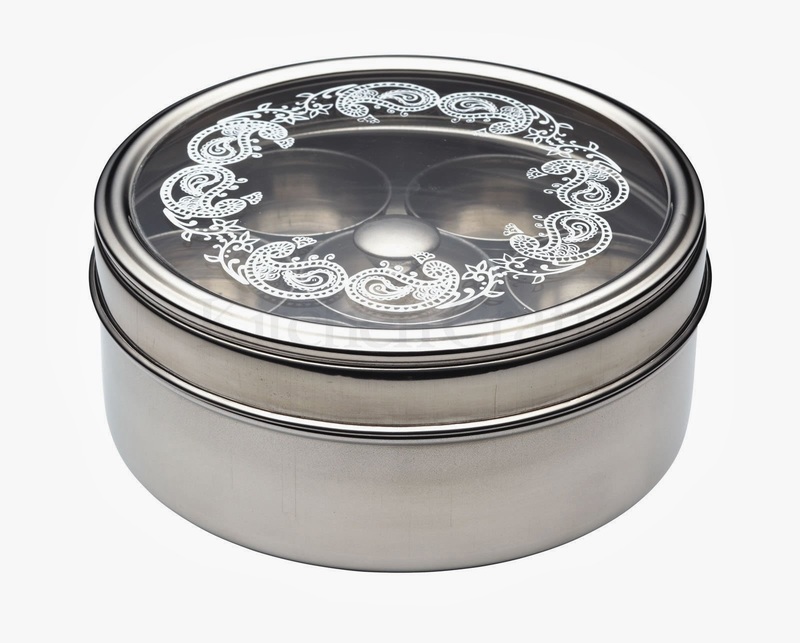 The range includes all the products necessary for authentic Indian cooking including a Chapatti board and rolling pin, a spice store, a pestle and mortar for crushing spices and chutney serving pots. 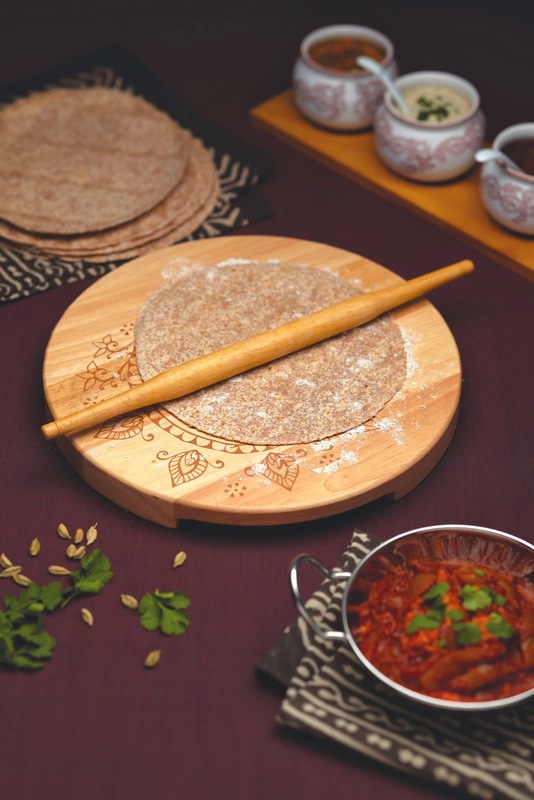 Images copyright Kitchen Craft 2013.